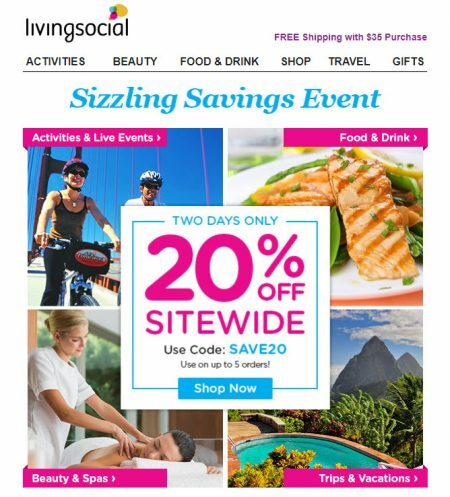 LivingSocial.com is having a Sitewide Sale. The promo code is available for 2-days only from Tuesday, July 31st to Wednesday, August 1, 2018. It’s good for purchases of any amount with a maximum savings of $50.